Author: Zusak, Markus Set In . . . 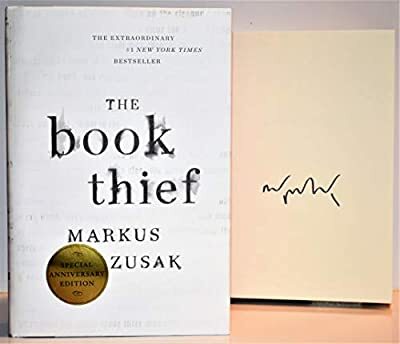 Description: One of the most enduring stories of our time, The Book Thief is just a small story really, about, among other things: a girl, some words, an accordionist, some fanatical Germans, a Jewish fist fighter, and quite a lot of thievery. The 10th-anniversary edition features pages of bonus content, including marked-up manuscript pages, original sketches, and pages from the author's writing notebook.